When I first heard that my adopted home state (more on that later) would be devoting big money to promoting tourism, I was psyched. I’ve been a one-woman Rhody billboard since first landing here in 1999 and learning the Rhode Island fight song at URI. I managed to convince my now-husband to move back here with me, despite the fact that he’d never stepped foot in the state before. Oh, also my brother and sister-in-law now reside here and my lifelong NY/NJ raised parents are considering spending their golden years here too. Safe to say, I’ve been singing the praise of RI and reveling in showing visitors all that the state has to offer for years. After college and a few years spent living the good life as a single gal waitress/wannabe writer in Newport, I finally caved to the unspoken golden rule that if you want a successful career (especially in my chosen field of journalism/PR) you need to move to a big city – ideally THE big city. In 2006 I headed back to my parents house on LI, purchased my first pant suit and began my first grownup job in PR. I stayed in NY for 6 more years, transitioning into social media, moving into Manhattan, climbing the proverbial ladder, handing out my business card like I was a rock star, riding the subway daily and spending way too much money on rent. In the back of my mind I always secretly hoped I’d land back in RI one day, but the job prospects seemed slim. No one goes from NYC to RI as a step UP do they? Depends what you’re looking for I guess. For me, I needed to find a place that my now-husband and I could agree on (he was living in Buffalo, NY the last two years I was in NYC), and I knew the beach, the people and the charm of RI would welcome me back with open arms… if only I could find a job. On a whim I applied to a Craig’s List posting and was on an Amtrak to Kingston a few days later for the interview. Long story short, that job wasn’t what I’d hoped for, but it got me back to RI and led me to find that there ARE a lot of great companies, creative talent and brilliant minds here. There are also unlimited possibilities for creating your own opportunities and shaping your career into exactly what you want, especially in the age of remote work. So where am I going with my long and rambling life story? My message is this. I find it disheartening that RI essentially chose to ignore all this local talent, all the people who may have come from elsewhere but CHOSE to live and work here. All the people who were raised here, educated here at some of the best universities in the country (not claiming my alma-mater URI is one of them, but I think we can all agree RISD & Brown are pretty damn impressive on a resume) and have stayed here to lend their talents to a place they are proud to call home. The designer behind the new logo is Milton Glaser, who’s responsible for the iconic “I Love NY” logo. I think we can all agree that’s a classic. Simple, and to the point. It’s the stuff T-shirts and mugs are made for. Heck, I own a cheesy Christmas tree ornament with this logo emblazoned on it. I think it’s safe to say I will NOT be hanging a “Cooler & Warmer” ornament anytime soon… Plus, THE GUY LIVES IN NY! You mean to tell me in a state brimming with artists and art students (Remember, RISD?) you couldn’t find one local “up and comer” to design something a bit more authentic? Despite my initial reaction to the logo and slogan (and those of other well-respected locals) I still have high hopes for this campaign and hope to see it succeed and bring great things to our state. I won’t even get into the other well-publicized blunders so far, but you can read about some of them here, if you’re so inclined. Hey Gina, Betsy and the rest of the team, I live here, I love RI (you can often find me tweeting and instagramming my #rhodylove) and I KNOW I’m not alone. One amazing thing I’ve seen come out of all this is the outpouring of ideas and passion from the creative community here. Let’s work together, utilize local talent and showcase our great little state. Is This My First “Mom Blog” Post? I think you’re looking for something to gripe about. 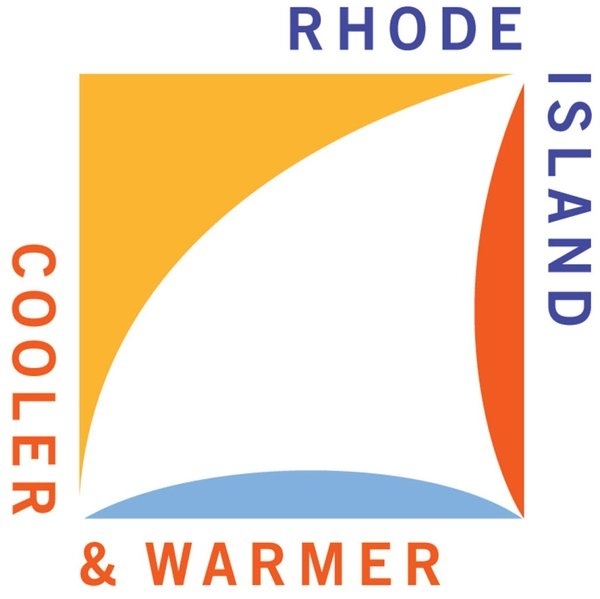 It’s not as if RI hired some random designer from NY, it’s MILTON GLASER. He created THE most iconic tourism branding of all time. I know RISD pumps out some amazing artists, but if you can hire the best, you do. Would you have been happier with an assembly line Shepard Fairey design? Is there someone else you’d hire? Disclaimer: I’m not from RI, but my wife is, and my in-laws are still there.